You might think many of us have real ghost hunting and paranormal investigations down to a science. But too many out there seem to keep making the biggest mistakes that just might be giving Ghost Hunters paranormal Investigators and Ghost Busters around the world a really bad name. How much influence do you think Paranormal and Ghost Hunting TV shows have on your own Ghost Hunting techniques? Of all you do is what they do then your missing the big picture and not seeing all the foot work and behind the scenes. Many of today's new Ghost Hunters don't really know what they are doing and in many cases tend to bring a client more problems then what they had before they arrived. The major problem is they really don't know what they are doing. You can only learn so much from watching television, and if you have no real skills of dealing with ghost with serious problems or clients personal woes then a hole host of new supernatural worms are often released. Remember not all ghost Hunters or experts and what and how they do it is not necessarily correct. If you learn how to collect paranormal evidence from the wrong source all you do is then invalid. How much influence do you believe TV shows have on a Ghost Hunters Paranormal Investigator's behavior and mistakes? 25. Lack of Evidence Evaluation - Go over any and all evidence that you collect at a haunted location more then once. Also have your entire team review the video, ghost pictures EVP's and Meter readings you have collected. To many often take one members word for what is paranormal truth. You need to sit down and debate the points you have discovered and look for plausible answers. 24. Lack Personal Reports - Each member should write a report of what occurred. not everyone see's or experiences things in the same manner. Neither is two persons opinions ever the same. A set of rules needs to be set up within your group as Paranormal or anomalous Evidence Collection Guidelines. Someone needs to take the stance as a skeptic in your group and challenge the evidence. They will be your PARANOMAL EVIDENCE FRAUD EXAMINER. 23. Lack Of Research - Not enough research into a persons house's ownership or a specific locations history. Even when investigation a well known location you should do all your research first, go to the library, your cities hall of real estate records. fins out all you can about the property. Always interview neighbors and town or city historians. 22. No Documentation Of Initial Interview With Client - Digitally recording your initial client interview. Whether with camera or voice recorder. This is usually an import factor to your case also get hand written by the client testimony. Many do not realize the importance of this documentation. Also find out the clients history, medications, health etc. These factors need or can be associated with paranormal activity. When an individual allows you into their life to investigate a haunting all factors need to be reviewed. 21. Valid Documentation Paperwork - All members of your paranormal investigation group need copies of your findings and each members documents to review. If your evidence is going public or staying private. The reason is because it validates all that are involved and they can go over others reactions and or document and either agree or disagree. 20. Proof Of Ghost Photos - All ghost photos should be if digital printed out in triplicate, and the memory card that they are on should not be erased. To many of you tend to feel ok I got it save it in a file on my computer, I print it out that's it. When investigating it is also wise to bring along film camera's and see if they and the digital ones coincide. 19. Too Short Of An Investigation - Paranormal Or Ghost Hunting Investigations should run the course of days, or weeks not just 3-5 hours. Many spooks and specters sometimes need to check you out before they perform their ghostly actions. To just walk in and walk out of a location in one day does not prove anything except you visited the location. Ghost do not all perform on cue. And if they do not like something about you are someone in your group they will not make them selves known. 18. Misuse Or Abuse Of Clients Home - Do not move or dig into a clients personal space without their permission. Don't sit on furniture, lay in beds or do anything unless you have their personal written permission first. Also do not call others into a investigation unless the client knows who is exactly in their home. Document all persons on the property and give a copy to the client. 17. Ghost Hunting A Clients Location With Them Not Present - If the client and or family feel need to leave the location only in your personal care and not be present, (without them on or at the location) it is better to document this also in writing. And have it witnessed. 16. Lack Of Team Member Screening - Screen your applications or future team members before you take them on a ghost hunt or investigation. Certainly you don't need a criminal element on your team casing out homes and haunted locations to rob or vandalize in the future. And yes, that would really be a big bump in the night. 15. Small Children Or Infants On A Paranormal Investigation - Never bring along children or persons known to have panic or phobia's to a location presumed to be haunted. Young children of any age should not be brought on to a haunted location or property for any reason. It is not professional. Just because you just had a child or infant it is not wise for that child to be around haunted activity for any reason. 14. Immature Investigators - Paranormal Team or group members should all be of adult age, at least over the age 18 years. 13. Lack Of Professionalism - Learn to be professional in your actions. A team leader needs to be set for each investigation. A dress code needs to be set in place also. as well as rules of conduct. 12. Personal Conflicts - Learn to leave the heart aches and personal problems of your life or with other team members at the door. If your really wanting to be a ghost hunter or paranormal investigations a client does not need to know or witness you or your teams troubles and woes. 11. Leaving a Location the Way You found it - Just like any hunting expedition when you leave the location it must be left exactly like you found it. Don't move furniture or small items unless you return them to their exact locations. It is always good idea to go to a location and take initial photos to see placing and set up of a home. Also pick up any trash or items you bring into the location. 10. Validation To the Client - Present your evidence to your client in written form also keep a copy for your self and set up documents to be signed off of by you and the client that the investigation has ended. Also give them actual hard cop printed material, and a DVD, CD of the investigation also. 9. Lack Of Equipment Preparation - All Equipment must be checked and calibrated before an investigation. To many just throw their EMF mete , Camera's and Voice Recorders around. All equipment must and should be checked in a controlled non haunted location prior to using. 8. 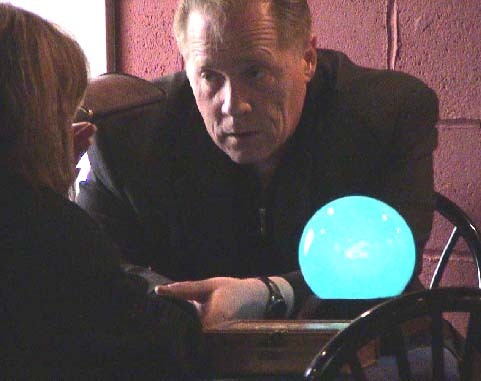 Not Going Into Paranormal Investigation With A Set Game Plan - Decide before you enter a location who will do what in what order and at what time. Schedule out your plan of attack. Use a printed clock and rotate the persons on a set time schedule of who does what when in print. Have member adhere to a set time slot to accomplish a task. 7. Presuming The Paranormal Activity - Never go into a location expecting or looking for presumed activity. Never think because what a person says will happen in location is all that will occur. If you do you will certainly miss something or have the wrong expectations. A particular Mind set might even cause you to overlook new evidence. Some groups do not share the knowledge with each team member intentionally to check what evidence or paranormal experience the team member may have. Would you want to re- do a specific paranormal investigation or ghost hunt because you have found mistakes in your documentation or actions? 6. Going Completely - Ghost do not necessarily just haunt a location when the lights are out. Set up the situations as the client describes them and try to hunt out the ghost at the exact time the client told you the haunting or paranormal activity took place. it happens at 5:am on a Tuesday morning be their at that time and try to recreate the situation the client encountered. 5. Lack Of Paranormal Activity Recreation - You should allow the Client to show you and recreate a the actual situations when a haunting occurred. You might see something or notice something from these observations. 4. Believing Everything You Are Told - You need to be a skeptic, a doubting Thomas. Stay objective always. If you think there is a ghost present before your even at a location you might effect your investigation by what you project on to your self and team. 3. Trusting Technical Equipment Only - If you only believe what your paranormal equipment tells you then that's all you have as proof. Employ the help of a psychic, a medium or paranormal sensitive. Not all things can be measured, seen or heard by your equipment. Record in witting your person feelings and experiences. Did you feel cold? Hot? afraid. Make out an after investigation questionnaire and have all members of your team fill it out the second you walk out the door. 2. Memberships And Ghost Hunt Member Location Documentation - When accepting new members into your group you must document their application, as well as do a background check on them. also make them sign waiver which includes that you or the group are not responsible for their mental health or welfare resulting from hunting for paranormal activity. This wavier should also include that any dangerous situations or locations they enter or done at their own risk. And a separate waiver needs to be set up for each separate location you investigate. if it is not signed then they cannot ghost hunt. this includes all parties that or on the investigation including you! 1. Paranormal Investigations Documentation Waivers - Get your client to sign legal waivers. If you do not do this then you might just be setting your self up for allot of trouble down the line. Whether it is just written proof that you are allowed to enter a location like a haunted cemetery or public location to investigate during day light hours. It's proof that you were there. A wavier to investigate a haunted locations should also contain legal wording done by a professional lawyer to cover incidents of accidental injury to you members of your group and or the haunted person and property damage. The waiver should also include info that you are not responsible for removal of the ghost or paranormal activity, and also not responsible if the actual haunting or paranormal activity gets worse after your investigation. I hope this stresses the importance of making your Paranormal investigations more real and legitimate. With making you understand that documentation and solid paperwork is the most legal form of evidence. And that Ghost Hunting needs to be put into a scientific method not like hap hazard ghost hunting you see on Television.